On December 3rd, 1993, club delegates, associations and sports federations, who had met in a congress to discuss the reality of national sports (Sports Clubs Congress), asked the Government in power at the time to implement a set of measures to streamline and better organize the sports practice at national level, among which stands out the proposal for the construction of a large stadium in Lisbon. More than building a stadium, it became necessary to build a multi-sport facility, which would be both a playground, a space for competitive practice of various sports and a place for sports events that could accommodate thousands of people. 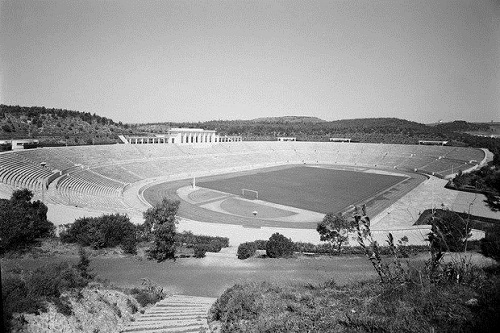 The public tender for creating a large sport center project and for the enhancement of Jamor river valley, as well as for the integration of a set of sports facilities, was published on the 1st of March 1934, that created the Comissão Administrativa das Obras do Estádio de Lisboa (Stadium of Lisbon Administrative Commission of Construction). 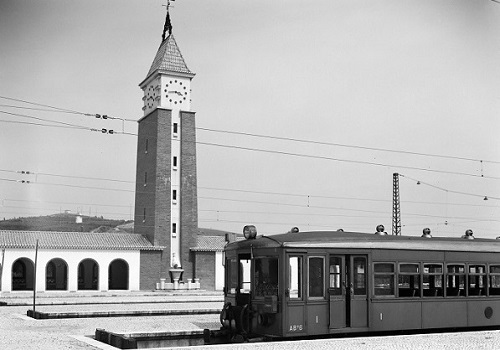 This contest predicted the connection of the complex to the Marginal Avenue and to a new highway, the first to be built in the country and in the Iberian peninsula, as well as the connection to the city center by tram and train. The qualification stages were set in two phases of proposal presentation. The first phase of consisted on the presentation of a general plan, indicating the circulation, access and elevation of the stadium. The second phase predicted the definite development of all projects. The architects responsible for the initial design of the stadium, central building of the entire sports complex, were Konrad Wiesner, Miguel Simões Jacobetty Rosa and Francisco Caldeira Cabral (Landscape Architect). The "Descriptive Report of the Athletics Stadium Benches definite report", as it was then referred the stadium, was signed by Konrad Wiesner and Caldeira Cabral, on October 14th, 1939. It was to be the first big stadium completely built in an excavation in a natural depression of terrain. It was designed entirely in stone, similar to the Greek theaters of antiquity. The year originally planned for the inauguration was 1940, since it marked two centenaries: the 800 years of nationality and the 300 years of independence (1940 was the year year when the Portuguese World Exhibition took place, between June 23rd and December 2nd). The inauguration only took place however on June 10th, 1944, whit a ceremony attended by more than 50,000 spectators and about 12,000 participants. In addition to the National Stadium, the Honor Tribune, the Marathon Square, the administrative services building and three large car parks with capacity for more than 5000 vehicles were also completed in 1944. Also, coinciding with the inauguration of the National Stadium, it was inaugurated the railway branch that connected it to the station of Cruz Quebrada, in the Line of Cascais. The buildings of the station were located where today is Jamor Swimming Complex. This large sports and leisure complex also has as a distinctive feature the fact that since its conception, together with the construction of facilities for various types of construction (some of which are still to be completed today, such as the marina), implied the construction of facilities for the training of technicians and teachers of sport, materialized in 1954, with the inauguration of the National Institute of Physical Education (INEF). The green areas where considered of great importance. In a space where, as in Monsanto, there were almost no trees, 500,000 trees and bushes were planted, among pine trees, cedars, beeches, poplars, lawns and hundreds of qualities of flowers, which became woods, gardens and nurseries of decorative plants which still today characterize the valley of Jamor. The Tennis Training Center, inaugurated on the 10th of July 1945, designed by Jabobetty Rosa, has been considered by many elite players the most beautiful tennis court in the world. In 1960, there was an expansion of the Tennis Training Center and the existence of more playing fields, one of them being the athletics track. In 1982, more facilities were built, including three new playing fields, an informal lawn, a new extension of the Tennis Training Center, a shooting range and the shooting range support building. The buildings of the Training Center, the student’s homes from the Human Mobility Faculty and the accommodation of the High Performance Center (CAR-Jamor's Residency) also appeared then. In 1999 appears the driving range and the golf support building, the rugby fields, the cross-country track, the Olympic swimming pool, the Pavilhão dos Esteiros (FMH) (Human Mobility Faculty), the Jamor Urban Park islands, the Nautical Activities Track and its support building, and the route of the Jamor river, in its terminal section, was also modified. Already in this century, were inaugurated the archery field, the athletics pavilion, the 9-hole golf course, the mini-golf circuits, the open-air gym, the Adventure Park, the climbing wall, the play and recreation space, a pavillion for indoors tennis courts and the Cross Country Olympic and Enduro (MTB) tracks. 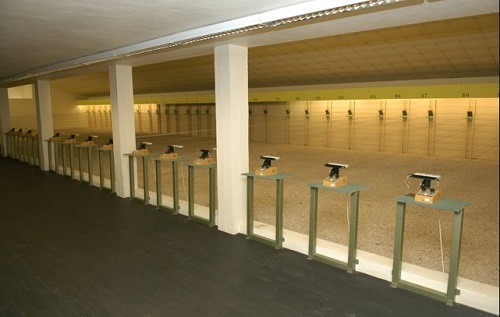 In the last two decades, at the Centro Desportivo Nacional do Jamor (CDNJ), we have the Jamor High Performance Center (CAR-Jamor), with different training centers for highly competitive sports / national teams in different modalities like Athletics, Rugby, Swimming, Triathlon, Tennis, Shooting and Archery, Golf, Field Hockey and Climbing. At CAR-Jamor, the Unit of Sports Medicine and Training Control and Evaluation (UMDACT), assures the evaluation and control of the training process that allows athletes to boost their sports performance. This unit, in addition to medical support, physiotherapy and nutritionists, has a Training Evaluation and Control Laboratory, exercise rooms and an altitude training room. At the present time, the effort to reorganize the Centro Desportivo Nacional do Jamor (CDNJ) continues, with the valorization and modernization of the existing patrimony, always in the perspective of a use accessible to all, from high competition athletes to the ordinary citizen, in the sports, recreational and leisure aspects.